The MBA is recognized world-wide as the premier as the premier management qualification and our programme will Programme will provide necessary subject coverage, skills, education, Training, Practice, Knowledge understanding and personal development for graduates in any discipline who plan careers in business and management. The corporate culture among the students is developed through case studies, role playing and industrial visits. Summer Training and project study provides an opportunity to apply management concept and technique in real life and to appreciate their efficiency. Combining lectures with real life case studies and hand on exercise further augments class room learning. Now-class room curriculum consists of a variety of projects that provide a platform to apply the classroom learning to real life Situation. 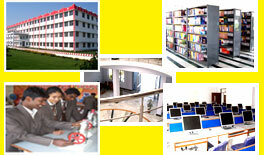 DSITM is a place where knowledge nurtures the ideas as it is reliable road to learning. It is not exaggerated if our institution turned as the, the sun among the stars, DSITM has been established to Meet the challenges of the life individually and socially and function as an effecting thinking medium. A global vision and understanding. An ability to act strategically at both the local and global levels. Interpersonal and multicultural Capability to anticipate and manage change. Breadth of knowledge in various functional areas. A commitment to ethical and legal business practices, and ability to take decisions. Ability to take decision under risk and uncertainty. Understanding of real time business environment. Convincing work experience at the time of passing out.